The modern horror film. Those celluloid frights that regenerated the genre from the late 1960’s on through today. Kids, I can’t lie about my fandom. Never will you experience the true joy of audience participation as when viewing the higher entries of the Friday the 13th and Nightmare on Elm St canon at a Times Square cinema at midnight opening night. Besides being smitten by Messrs. Voorhees & Kruger (- and Mr. Myers, Dr. Lecter, Miss Carrie White and Bruce the Shark, et al), my love of the genre encompasses Mr. Hooper’s explorations in 1974 about a family of Texas butchers, the classic studies of the not-entirely-dead by Mr. Romero, and the ruminations on pleasure and pain by a feller with a puzzle box and an uncomfortably pointy skin condition. Firmly lodged in my permanent Top 3 films of all time is the greatest horror film ever made about a little girl with a crick in her neck and an aversion to pea soup. In recent years the Asian contribution to the horror genre has been prolific; the best-known (- and most American remade) entries being The Ring, Ju-On (The Grudge), The Host, and another in my top favourites list, Battle Royale (- which may never be remade for the West). From the US there have been some wonderful gems like the Blair Witch Project, but of late I’m sad to see nothing but gory and gratuitous remakes of classics like the afore-inferred Texas Chainsaw Massacre and Last House on the Left, but six times down, seven times up, I always say. There is certainly light on the horizon: Though many of the protagonists of these films may be female and may even win the day over the bad guys; with precious few exceptions, most horror films are not written with the female audience in mind or from a female point of view. Carrie may be the best-known example, with the recent wonderful Hammer-esque film, The Others (2001) being another. Having a built-in male audience, the majority of scary movies tend not spend too much time dwelling into the female psyche as opposed to finding larger and louder ways to make the ladies scream. 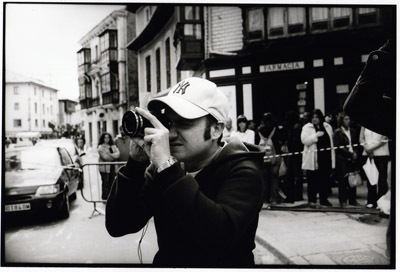 From sunny Spain, The Orphanage (El Orfanato) may have the distinction of being the first true women’s horror movie. Beginning in flashback, we meet Laura, a young girl surrounded by friends in their home, an orphanage on Spain’s picturesque (- and beautifully photographed) northern coast. Despite the fact that all the children except for Laura bear a physical disability of some sort and have no parents, Laura’s memories of her time in the orphanage are idyllic and affectionate. Her adoption does not bring her joy as she will be separated from the love of her orphanage siblings and the happiness of their daily games. Flash forward decades later and the adult Laura has purchased the old children’s home intending to live in it with her family and reopen the orphanage, and perform the same good works bestowed upon her as a parentless child. Supported by her husband and her own adopted son, Simon, Laura continues the nurturing role that she played while in the children’s home; her son requires particular care due to an illness present from the boy’s birth, and her orphanage will take in children afflicted like her disabled orphanage siblings. Of course, we wouldn’t have a movie if everything went smoothly and before too long, strange noises can be heard through the cavernous house. Things that truly go bump in the night. Then little Simon’s behaviour begins to change, from sweet loving cherub to withdrawn and secretive, confiding in a brand new imaginary friend called Tomas who he discovers while on an exploration of the caves near the orphanage. An unexpected visit from an old woman claiming to be a social worker puts the family ill at ease, especially once it’s clear that the woman is an imposter who knows way too much about the family and Simon’s illness. At Laura’s party to welcome the town’s children to the renovated orphanage, Simon’s mysterious behaviour hits an angry new low and after a frustrated slap from Laura, Simon runs away. Later berating herself for losing her temper, Laura realises she can’t find Simon anywhere in the house. Laura’s panicked screams for her missing child effectively end the welcome party and any chance for the orphanage to open; Laura realises that no one will trust her with their children when she cannot take care of her own. The days stretch into months without a sign of Simon, and the physical and emotional toll taken on Laura and her husband is evident. Their relationship is strained and they move through the empty, cavernous house in a vacuum from day to day, with Laura wasting away with grief for her lost son. A chance encounter with the strange old woman who visited them begins a new direction for Laura. She discovers the house that she so loved as a child is a nest of terrible secrets. 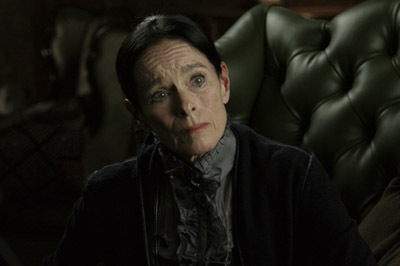 Awful things occurred in the orphanage which Laura only becomes aware of after inviting a medium (- an ethereal Geraldine Chaplin) in to try and locate what happened to Simon. These horrible events have lingered in the walls in the hallways and in the rooms of the house itself trying to be heard. It is only when Laura gives herself over to the voices of the children that call her in the hopes of finding Simon; playing an elaborate game of scavenger hunt and a chilling version of touch the wall, that she understands the dream she had of the orphanage had precious little basis in reality and discovers the depths of her love for her child. I’m not giving away the ending, but boy is it, and the scenes leading up to it, one for the books. 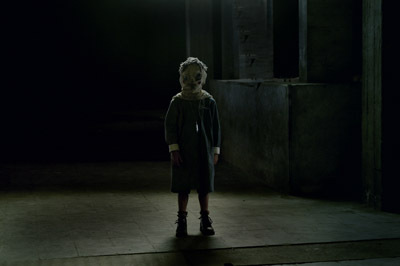 The Orphanage is low on sudden shocks and screams (- except for a couple of scenes clearly meant for the Kruger-loving contingent), but it manages to get under your skin in a way that will give you chills for days afterward. The Orphanage plays upon basic human conditions; the fear of losing a loved one, in particular a child, obsession, questions of identity and madness, all these notions come into play here and are so skillfully woven by director Juan Antonio Bayona and writer Sergio G. Sánchez, that they’ve taken what could easily be read as a haunted house story and turned it into something far more affecting. At heart, The Orphanage is the story of a mother facing the fact that she could not protect her child, and her ability to cope while missing him. Indeed, Laura, who is an intensely maternal figure, is unable to protect any of the children she meant to and that revelation is shattering for her. Here I must mention the tour-de-force performance of star Belén Rueda, who absolutely unselfconsciously and bravely inhabits the role of Laura, and gives one of the most magnificent performances I’ve seen this year. Getting inside the head of this woman, who at first seems perfectly together and identifiable, and watching her inevitable decay is what lifts The Orphanage beyond standard horror fare. Yes, there are plenty of bumps and jumps and they are beautifully and judiciously rendered, but it’s the frights that play in your head during this movie that make The Orphanage such a haunting, chilling thrill.